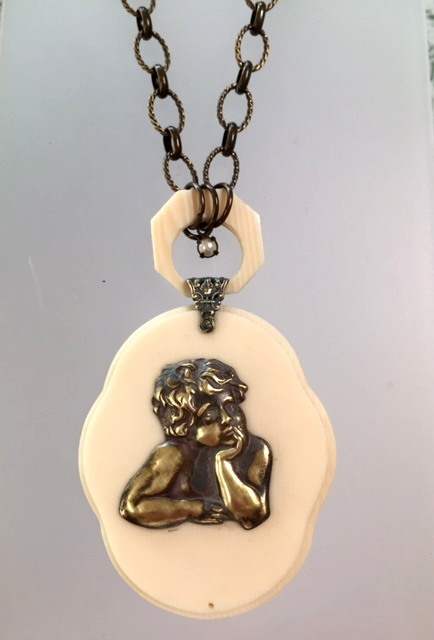 This superb French C1920's Ivorine or French Ivory, (an early bakelite) Medallion with a glorious Bronze Raphael Angel would make a Superb Fist Comunion Gift. 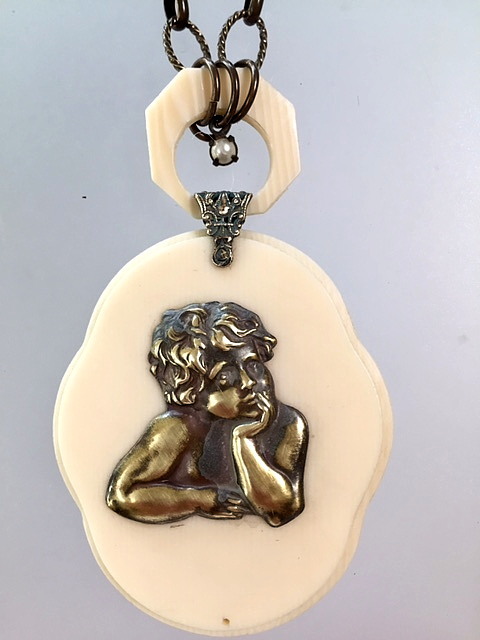 It suspended it from a beautiful link chain. The original Bale is amazing with the delicate filigree.